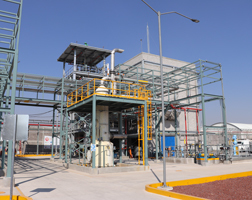 The expansion and upgrade project at Los Reyes, including construction of a facility to make the new peroxide, involved investment of more than EUR12 million. This is the latest in a series of investments by Nouryon to better serve and grow with its customers in the polymer market. The company says it is continuing to strengthen its production network to enable continued security of supply to its customers in the North American polymer market. Additional capacity is also scheduled to come online in Brazil, China and India.